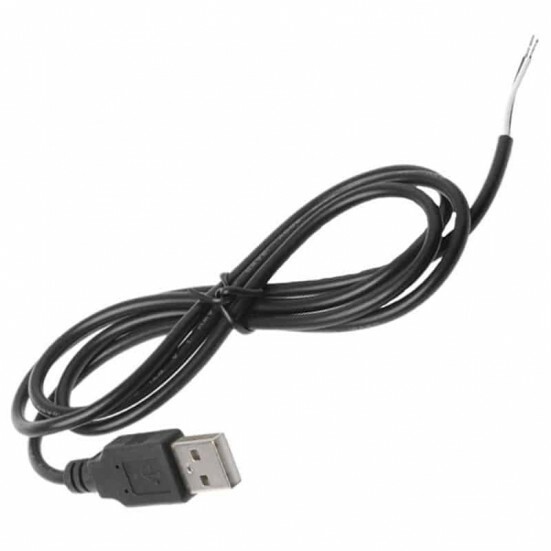 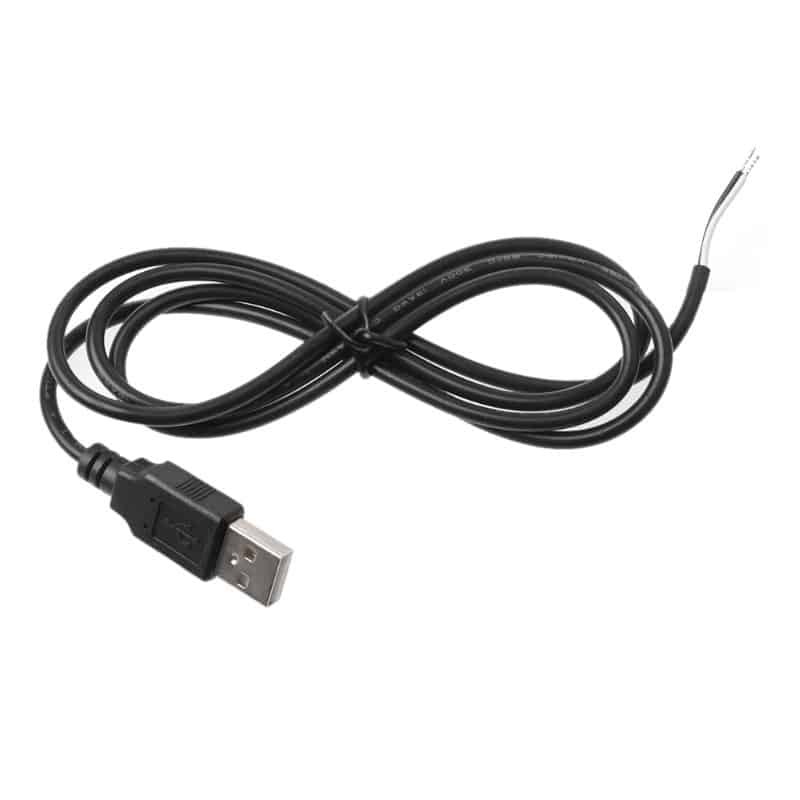 Easily supply power to your project with this USB Type A cable to connection wires. One end has an industry standard USB Type A connector to plug into USB power supplies, while the other end has a pair of connection wires. 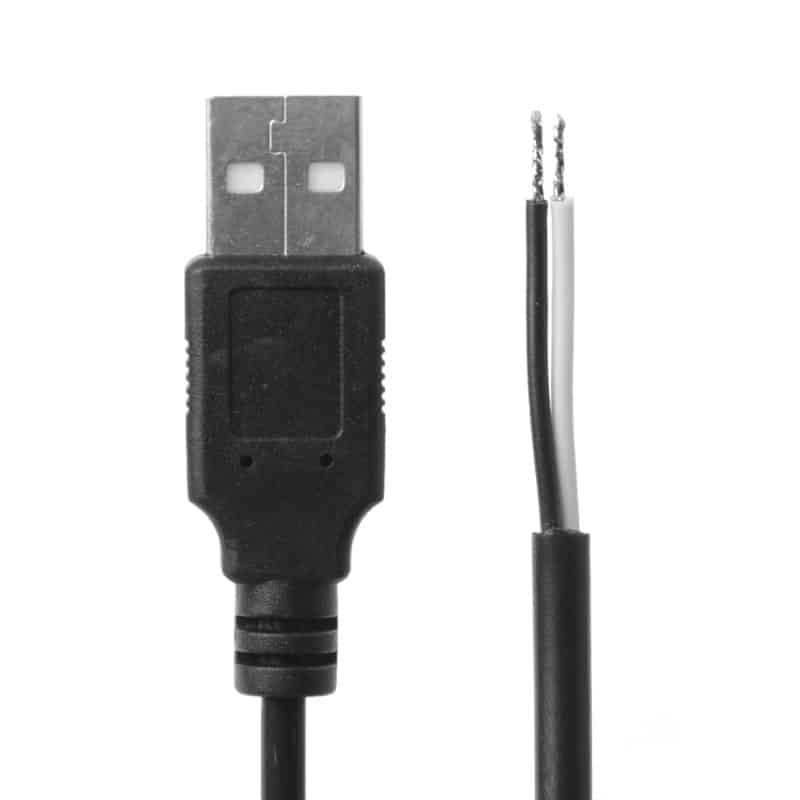 The White wire is positive while the Black wire is negative.